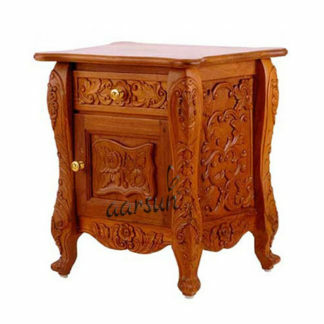 Aarsun Woods brings to you handmade Wooden Side Table made from teak wood. 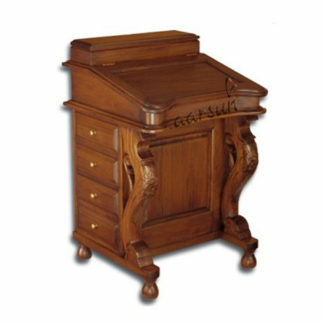 Wooden bedside tables add elegance to your bedroom decor with floral carving. 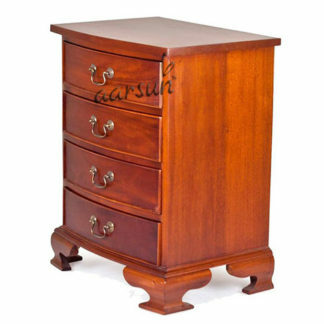 They provide you with extra use since they are equipped with two drawers to store your essentials like, books, medicines etc. The platform provided on top of the table is very well suited for placing night lamps, phones and other necessary items. 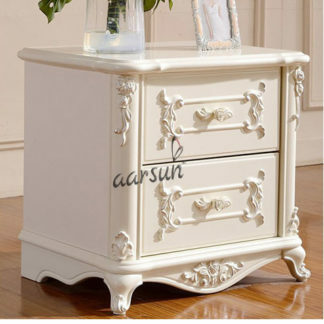 Bring home a bed side table from Aarsun Woods and give your bedroom the accessory that it had been missing.